Built in 1901 as a contiguous link between the Anita gold mines in Williams, Arizona and the Grand Canyon, the now-refurbished Grand Canyon Railway whisks 230,000 wide-eyed visitors to the South Rim of Grand Canyon National Park each year. A charming incorporation of history with Arizona's wild scenic vistas, the Grand Canyon Railway never fails to impress. Trains truly built and helped civilize the western portion of the United States, and the Grand Canyon Railway is no different. Before the American tourist industry took off and the Grand Canyon became one of the most popular destinations in the world, the railroad was primarily dedicated to the transport of ore from the Anita mines—tourists were secondary. As interest in westward travel grew and news of the majestic landmark reached the right entrepreneurial ears, engineers utilized the train to build almost all of the historical structures on the South Rim. 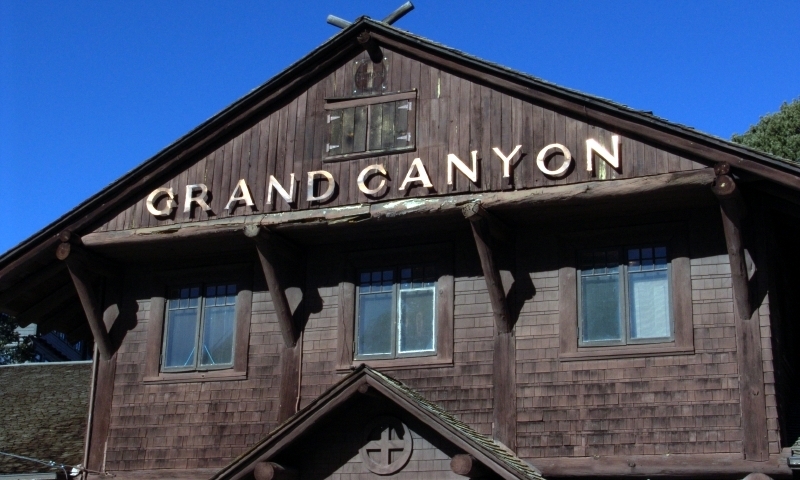 Over time, the railroad became predominantly tourism-based, carting hundreds or thousands of first-time visitors to the canyon until its close in 1968. Today, the Grand Canyon Railway, reopened in 1989, offers a comfortable, scenic ride to the Grand Canyon from Williams, Arizona, allowing modern-day visitors to follow in the footsteps of the generations that precede them. One-time passengers on the railroad include historical heavyweights like U.S. Presidents Teddy Roosevelt, Franklin Delano Roosevelt, William Howard Taft, and Dwight D. Eisenhower. With different compartments boasting such traditional accoutrements as an antique mahogany bar and an open-air rear platform, visitors will thoroughly enjoy this trip into the past.